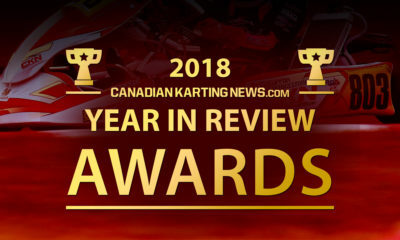 Dale Curran Defends His Canadian Crown in ROK Junior – CKN | CanadianKartingNews.com | Because Karting is a way of Life! 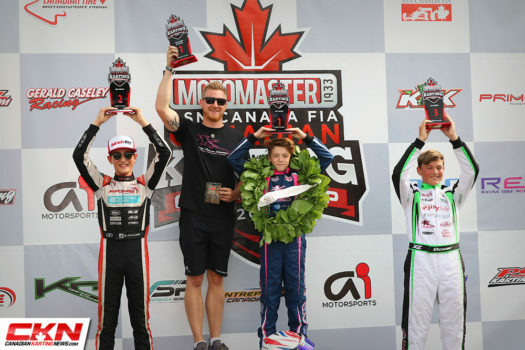 The first race of the day at the 2018 ASN Canadian Karting Championships, held at Mosport Kartways in Ontario, featured the ROK Junior drivers hitting the track after the opening ceremonies. 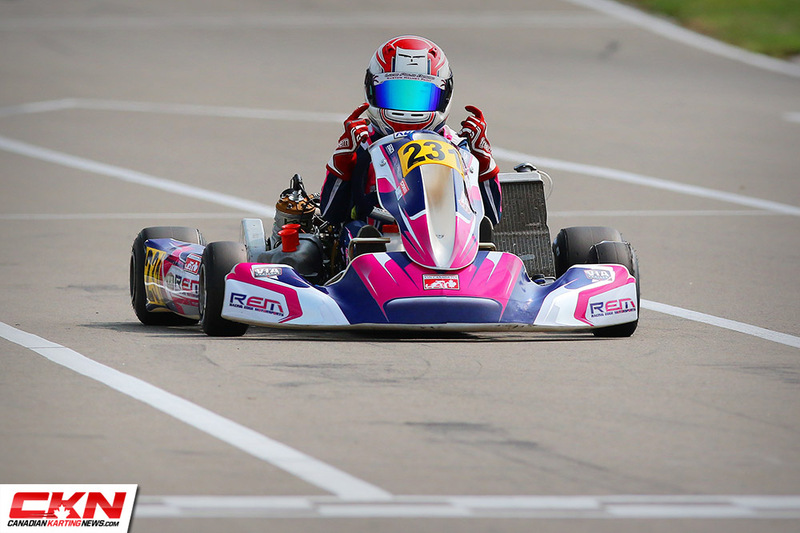 Throughout the heats, Dale Curran (REM/Kosmic) was the driver to beat and that earned him the pole position for the Final with Mackenzie Clark (Prime/BirelART) lined up alongside. 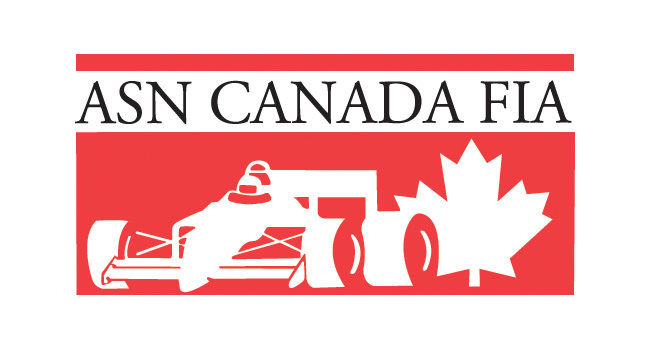 A good run when the green flag allowed Curran to jump to the lead with Justin Arseneau (Goodwood/Exprit) and Marcello Paniccia (Prime/BirelART) following him into turn one while Clark fell back to fourth. 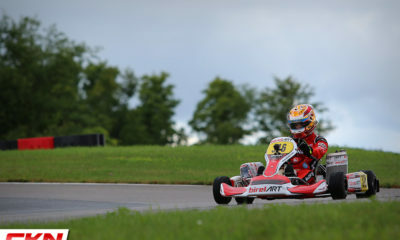 Clark quickly attacked his Prime teammate and regained third before the first lap was complete. 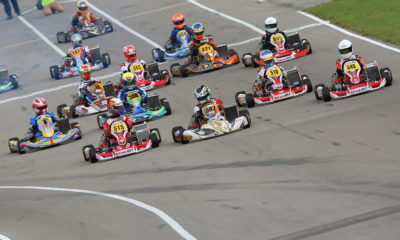 From there the front three were separated by only a few kart lengths and lap after lap they matched each other’s lap times, just waiting for one to make a mistake. Arseneau was the first to slip up as made a small mistake just past halfway that allowed Clark to close onto his bumper and Curran to inch away. The front three remained unchanged until two laps to go. 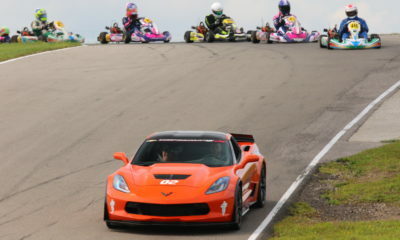 Clark finally pulled the trigger in corner five and overtook for second place. 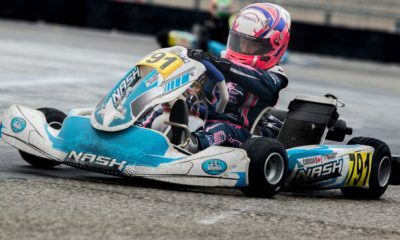 That allowed Curran to open enough of a lead that he didn’t need to defend his position on the final lap, taking the checkered flag for the second year in a row at the Nationals in a flawless drive. 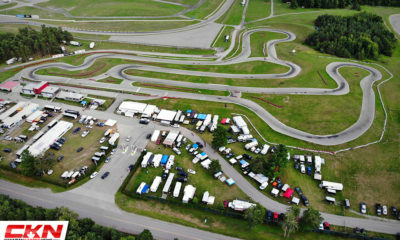 Clark and Arseneau battled hard on the final lap, with Arseneau spinning in the second to last corner while trying to make a pass. That allowed Clark to finish second and Nolan Bower (VSR/TonyKart) to jump onto the podium. Gianluca Savaglio (Goodwood/Exprit) and Paniccia completed the top-five. 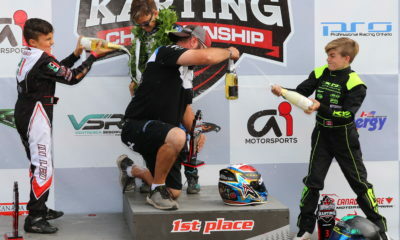 Curran, who confirmed to CKN after the race that he had been battling sore ribs throughout the weekend, was ecstatic to defend his National title as well as earning himself a ticket to compete in the ROK Cup International Final later this year in Italy, as a reward for winning the Pfaff Kartsport Cup. 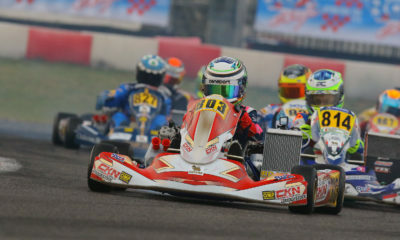 Clark also earned a ticket to Italy as the race runner-up.